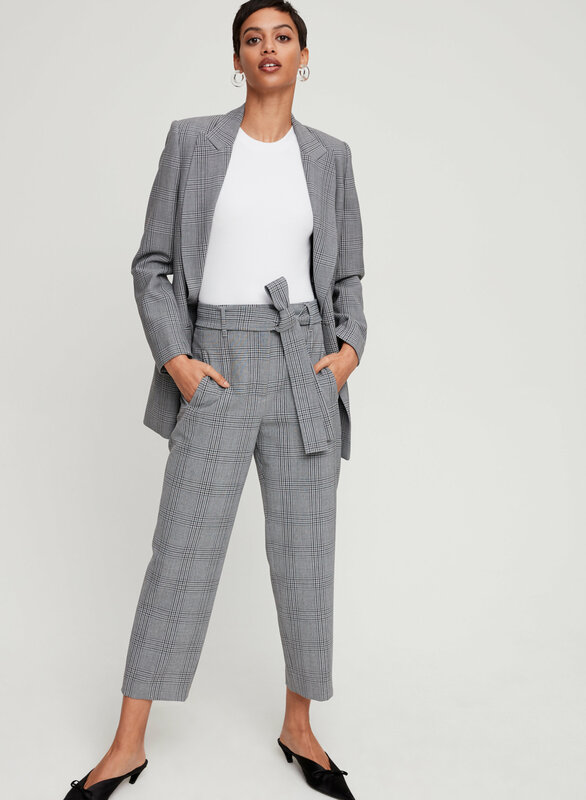 Styled with tie-front pant and margaux blazer . 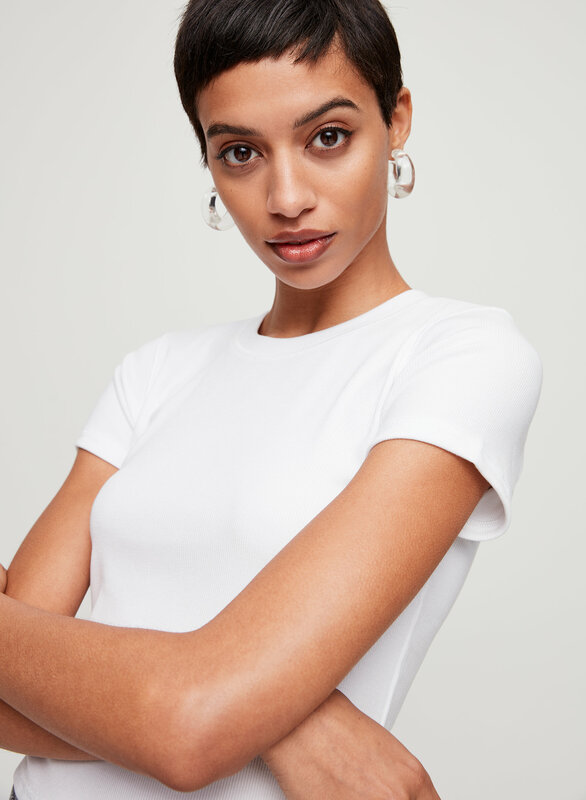 this ribbed baby tee is a nice spin on the classic tee. it's dressy enough that i wear it to work tucked into dress pants. it is quite cropped, which i couldn't really tell from the pictures, but it's fine tucked in. 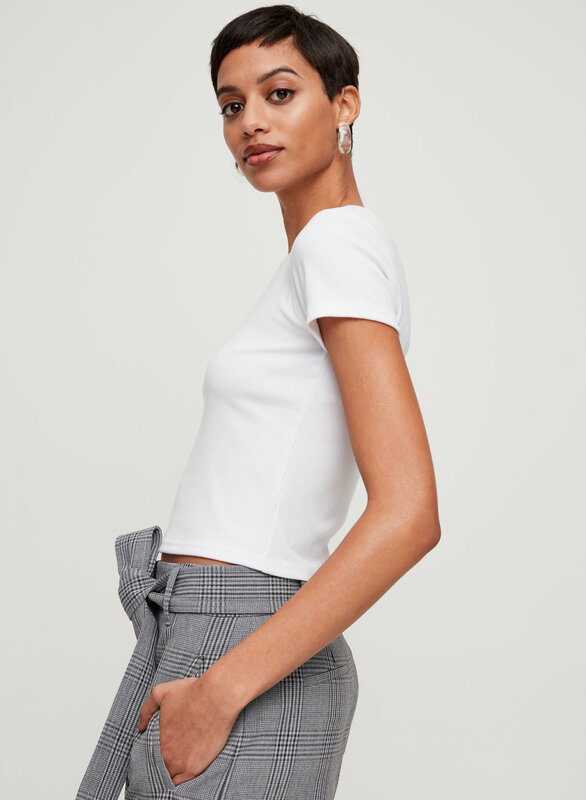 the material is nice since it's form-fitting but quite soft and stretchy, so it doesn't feel constricting or like if you move around too much it'll come untucked, which is something i worry about with stiffer cropped tees. 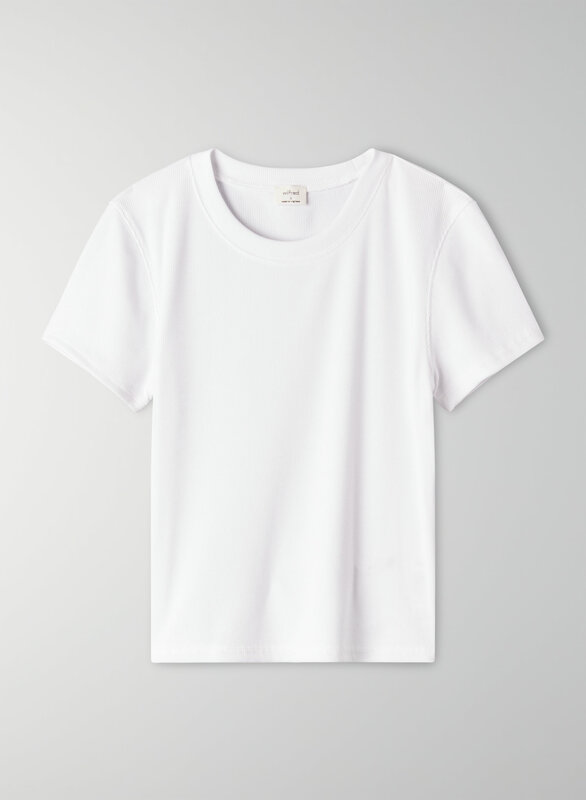 Excellent quality for an everyday t-shirt. I’ve bought this t-shirt in a multitude of colours.love it because it keep it shape after a lot of washes. Stretchy and comfy. 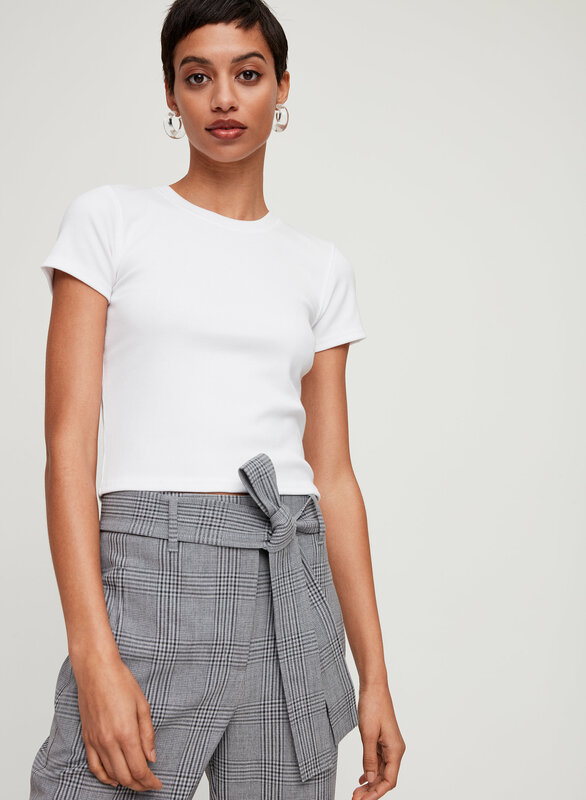 Great mini ribbing detail so it’s not another plain t-shirt. Very soft and comfortable material. Will buy again.